This new Second Edition is fully revised to reflect the latest developments. It also includes four new chapters—nearly 100 pages—on optical coherence tomography for industrial applications, interference microscopy for surface structure analysis, noncontact dimensional and profile metrology by video measurement, and optical metrology in manufacturing technology. Toru Yoshizawa received his BS, MS, and doctorate of engineering from the University of Tokyo, Japan. After ten years of research and educational works at Yamanashi University, Kofu, Japan, he moved to Tokyo University of Agriculture and Technology, Japan, where he was professor in the Department of Mechanical Systems Engineering for 25 years. After retirement from the university, he worked in industry for three years, and then moved to Saitama Medical University, Japan to explore medical and biomedical fields using optical techniques. Currently he is director at Non-Profit Organization 3D Associates, Yokohama, Japan, and professor emeritus at Tokyo University of Agriculture and Technology. "… a good reference book for engineers and scientists in general and particularly for those who are not experts in the field of optical metrology. The broad collection of metrology applications and the introductory descriptions of the principles make the book a good one to have on hand for those who are frequently searching for technical solutions for their applications both in research and in industry." "… distinguishes itself with its collective array of practical applications. While individual applications may be scattered in the many professional journals, these topics are cohesively assembled in this handbook." "The material of this book is written at an introductory level that should be understandable to anyone with an engineering background. The book starts with a very useful background section on optical component technology that helps to set the stage for subsequent chapters on optical techniques. The discussion of optical metrology techniques focuses on the practical implementation and instrumentation rather than the science and research areas that would be beyond the scope of those without specific background in each area. In doing so, the book focuses on practical understanding of the methods rather than theory. … This book presents both a background of technology in optical components and metrology on a general scale, as well as a practical overview of a wide range of optical instrumentation methods. It is written at a level that could be understood by an operator to better guide the use of commercial optical metrology instrumentation. In this regard, this book could be a valuable resource for company metrology labs as a guide and training tool for new employees." "Overall it is a great book … includes both theory and experimental and engineering experience. Authors summarized new techniques, algorithms as well as error analysis." 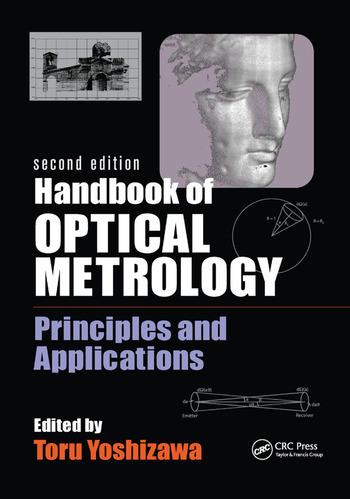 "This book covers a wide range of optical metrology methods and applications. And the contributors are all well known in their particular fields. This book should be a great reference book to engineers and researchers."